Fuad Isgandarov previously served as Ambassador to the Netherlands, and as an ambassador-at-large. He also served as Deputy Minister of Azerbaijan’s Ministry of National Security. 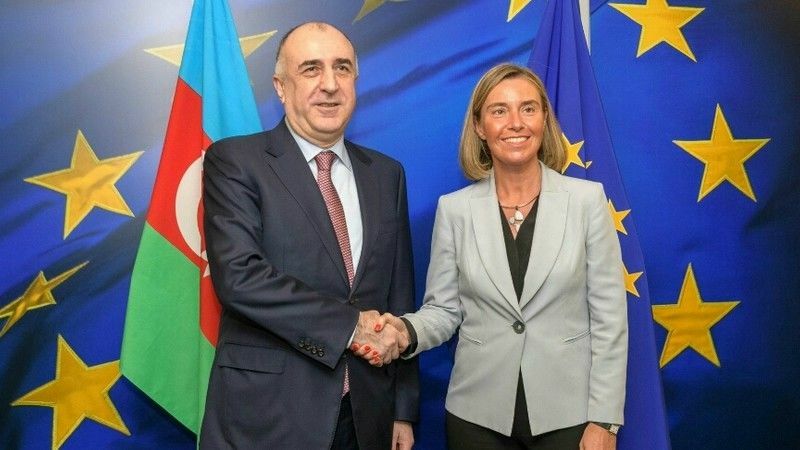 Your minister of foreign affairs Elmar Mammadyarov was in Brussels recently, he met with EU foreign affairs chief Federica Mogherini. Did they discuss Iran and Armenia as well? Of course, European partners have shown strong interest to our position concerning the latest changes in implementation of the nuclear deal with Iran. The position of Azerbaijan on this matter is absolutely clear. Our cooperation with our Iranian neighbours has started much earlier than that agreement. We do have cooperation with Iran in trade, implementation of energy, transportation and water management projects. They started not because of the nuclear deal but as a result of “good neighbourhood” policy with all bordering countries except Armenia, which occupies 20% of Azerbaijani territory. As you see we are in good neighbourly relations with both EU and Iran. I think it really works for security and stability of the region. Concerning the situation in Armenia we did refrain from commenting on domestic developments in this country. The only aspect we were interested in, was about the possibility to advance peaceful settlement of the Armenia-Azerbaijan Nagorno-Karabakh conflict [Nagorno-Karabakh and 7 adjacent regions are internationally recognized territories of Azerbaijan, but occupied by Armenia] in accordance with international law and relevant UN Security Council Resolutions. The previous government made its survival through its radical destructive policy towards conflict settlement. The current Armenian government is facing the debris of this policy. They need “fresh air” and “fresh blood” to revive the economy which is in a shambles. They should strive to become an inclusive partner in projects in the region. This is possible only through building normal relations with neighbouring countries. But with the new leadership in Yerevan can we be optimistic? Unfortunately, so far the new leadership’s actions and behaviour in handling conflict issues have been far from inspiring optimism. In his early days of office, the Prime Minister went to the occupied Nagorno-Karabakh region to celebrate the anniversary of occupation of Shusha, a city where ethnic Azerbaijanis constituted an overwhelming majority. There he voiced controversial statements about “annexing Nagorno-Karabakh to Armenia” and introducing new “conflict parties” to the negotiation format which did not fit into the context and substance of negotiations mediated by the OSCE Minsk Group. There is no need to reinvent the wheel. 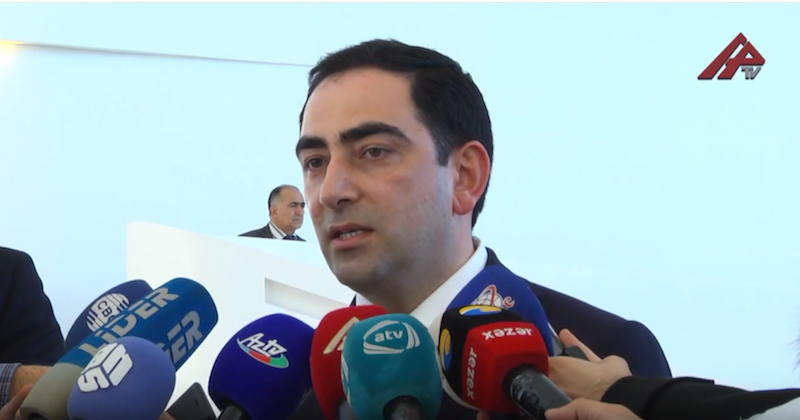 The new leadership’s aggressive rhetoric was followed by a military provocation at the Azerbaijan-Armenia state border where an Azerbaijani soldier was shot dead in Nakhchivan. In the meantime, on the other side of the conflict, soon after his re-appointment Foreign Minister Elmar Mammadyarov met OSCE Minsk Group Co-Chairs in Paris where he reiterated Azerbaijan’s interest in pushing ahead substantial negotiations. So, you can see differences between these two approaches. Continuing aggressive actions and rhetoric on the one hand, and a constructive approach on the other. I hope the international community will adequately assess it. Do you think that the EU has to step in to ease the tension between parties? The European Union is not involved in the settlement of the conflict. But this does not prevent the EU from promoting and international law-based solution to the conflict and supporting the territorial integrity, sovereignty, independence and inviolability of internationally recognized borders of partner countries which were identified as key principles of European security in the EU’s Global Strategy. We appreciate and value the EU’s explicit and consistent position in supporting these principles in its relations with Azerbaijan. Unlike Armenia, Azerbaijan does not intend to drag conflict settlement issues into the EU landscape. Nor does it follow Armenia’s notorious practice to use every occasion within the EU institutions in order to manipulate conflict language for internal consumption. Azerbaijan’s relations with the EU are much broader and serious in content and cover far-reaching objectives. You mean relations progress well? Yes. We welcomed the €2.5 billion EIB financing of TAP and TANAP which has materialized the EU’s strategic approach to the energy partnership with Azerbaijan. It is a measure of the success of all involved that the first gas from Azerbaijan will be delivered to Turkey this summer already, and that it should arrive in Europe as of 2020. We will welcome Commissioner Gunther Oettinger in Baku in the coming days in the margins of the Caspian International Oil and Gas Conference, to whom we pay a big tribute for his valuable contributions to the realization of the Southern Gas Corridor in his previous capacity of EU Energy Commissioner. We are seriously engaged with the EU in further developing connectivity concept in the region by capitalizing on the realization of tangible transport projects. As testified by Commissioner Johannes Hahn, Azerbaijan is very well placed to play a key role in linking Europe and Asia. We are also glad to hear that the European Union will continue to support the Port of Baku in becoming an international logistics and trade hub. We are eager to build on pragmatic and positive outcomes in our relations with the EU by reflecting on our ongoing negotiations on a new comprehensive agreement between Azerbaijan and the EU. The pace of negotiations on different chapters may vary but this does not question our objective to achieve a good agreement rather than a speedy one. I see more and more negative articles about Azerbaijan, the whole “laundromat series” for example. What is your comment? They are totally orchestrated, organized and synchronized. It started with campaigns about human rights, then went to corruption. And now we even see deliberate provocations to make references to Azerbaijan within coverage about some murders on the territories of different EU member states. Can you imagine, that the country being artificially cited, is the one that suffered from dozens of terrorist attacks in the beginning of the nineties, as a result of which approximately 2,000 people lost their lives?! Despite the occupation of an important part of country’s territory, Azerbaijan has never resorted to terrorist attacks against civilians in reaction to this occupation. Moreover, Azerbaijan is one of the most reliable partners in the international antiterrorist coalition, having the strong background of cooperation in this sphere, which is highly valued by the EU, NATO and other partners. This fake news is coming from the same media sources, the same newspapers, the same authors. I am convinced that all these attempts are doomed to failure. But what is their interest? So someone wants to prevent bigger projects in Azerbaijan by de-stabilizing Azerbaijan? In any case, it aims at creating a negative image of the country and to separate it from the regional and European processes. Recently we saw the same attempts in the Council of Europe. We all witnessed that some circles in Europe rushed to congratulate Serge Sargsyan with the “successful” conduct of the parliamentary elections in Armenia. Ironically, right after the population forced him to resign as the prime minister chosen by this very parliament. But in the case of Azerbaijan, despite the completely biased statements, including the one by ODIHR on recent presidential elections, full public confidence toward country’s leadership continues to remain unchanged. We still regret the continuous double standards manifested by the European Parliament side as well, despite inter-parliamentary links between EU and Azerbaijan recently starting to progress. For instance, we noted two press releases at the official European Parliament website concerning reports on EU agreements with Azerbaijan and Armenia voted recently in the Foreign Affairs committee. Although the documents were similar in nature and content, the headlines of the press releases were enough to expose obvious bias concerning my country. That is about the question who is lobbying in the EU institutions. But the response from your side could go in two directions. One, which is visible, is creating big economic hubs, like the port of Baku. Secondly, your country can do much more to improve the human rights and media freedom situation so that such accusations will not be credible. The process of building transportation hubs has just started. We saw similar, even much harsher attempts to impede our energy projects, when we started them in the nineties. But despite all attempts we managed to make them happen. I am sure that the success story of Azerbaijan in the implementation of current energy and transportation projects will be repeated on a qualitatively new level. Concerning democracy and human rights. You know, today we are celebrating the 100th anniversary of the first parliamentary democratic republic of the Muslim East. [The Azerbaijan Democratic Republic proclaimed its independence in 1918 and became the first democratic state in the Muslim-oriented world.] Even one hundred years ago Azerbaijan was a democratic country, there was a government where different nations, ethnic groups were represented. There was a parliament with participation of Azerbaijanis, Russians, Germans, Poles, Ukrainians, Jews, Armenians, and Georgians. The parliament adopted women’s right to vote much earlier than most of European countries. And if you think that we do not have this tradition, well, we do. But the problem is that democracy is a complex issue. Today, the level of democracy in Azerbaijan is much higher than it was before. But keeping in mind specific elements of the regional situation, we should be consistent, but also careful in gradual liberalization of society without leaving any room for abusing those democratic liberties against the European values themselves. We have to be strong in order to duly protect these liberties. Do you make an allusion to foreign interference? Azerbaijan is not facing serious problems coming from inside of its society. But challenges from outside of the country are really serious. Especially now – in today’s turbulent world. The choice for Azerbaijan, which is located at the crossroads of the civilizations, is obvious: to become a new battlefield, new frontline or new conflict zone, as happened in too many countries of this part of the world, or to be engaged in creating a new map of connectivity of nations, cultures, economies, religions, countries and ,of course, peoples. We prefer the second option. In this unpredictable world, bridge constructors are more needed than their destroyers. Of relevance to this article is “self-determination of peoples,” which Azerbaijan is in violation.